Bridging the gap between the construction phase of a project and ongoing maintenance. Uncertainty about how to use data from building information models after they are handed over. Complexities associated with data integration and properly maintaining building information models over time. IMAGINiT’s IWMS consulting services can help. Our IWMS consulting team has extensive expertise with the entire building life cycle. 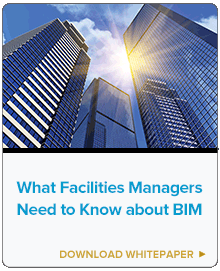 They know what owners need to do take facilities management to the next level with data, models, BIM standards, and more. Our team is comprised of experts familiar with ARCHIBUS, AutoCAD, Revit and more. With an average company tenure of 13 years, IMAGINiT’s computer-aided facility management staff has a depth of experience that is unparalleled in the industry. 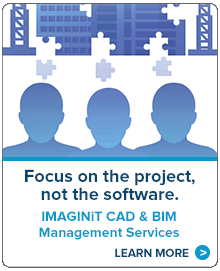 In April and May of 2015, IMAGINiT conducted a survey of over 500 firms to understand how both AEC firms and facilities management professionals are using intelligent models. This whitepaper details the findings of that study and provides some ideas for both AEC firms as well as facilities managers to more effectively communicate.